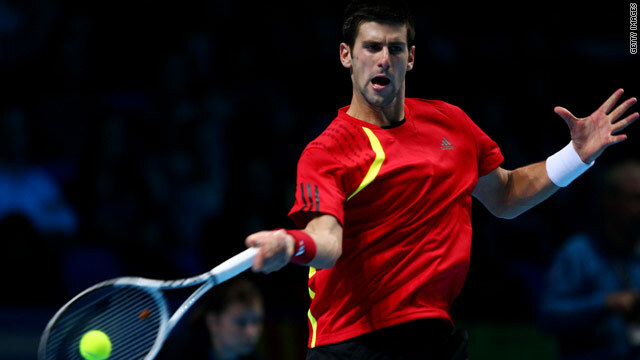 Novak Djokovic is through to the semifinals in Rotterdam after last eight opponent Florian Mayer pulled out. (CNN) -- World number two Novak Djokovic is through to the semifinals of the ABN AMRO tournament in Rotterdam after a comfortable straight sets victory over Marco Chiudinelli of Switzerland on Thursday. The top seed secured his quarterfinal place with a 6-4 6-2 win, despite only converting three break points. However, last eight opponent Florian Mayer has been forced to pull out with a left leg injury, meaning the Serb gets a bye into the semis. In the day's other matches, sixth seed Mikhail Youzhny and fourth seed Gael Monfils will meet in an explosive-looking last eight showdown after both claimed straight sets wins. Russian Youzhny, winner of the tournament in 2007, saw off Turkish qualifier Marsel Ilhan 6-4 6-4 while Frenchman Monfils ended the run of local hero Thiemo de Bakker 6-3 6-2. Another Frenchman, Julien Benneteau, is also through and will next face third seed Robin Soderling after defeating Michael Berrer of Germany 6-4 6-4.